Step 1: Go to Plugins > Add New > Search “Theme My Login“. Select Install and activate the plugin. Step 2: Go to Appearance > Theme Options > Membership > Login Link choose ON and Add Log Out menu item choose ON, save changes. Create a new page and choose Page Template is Watch Later and publish. 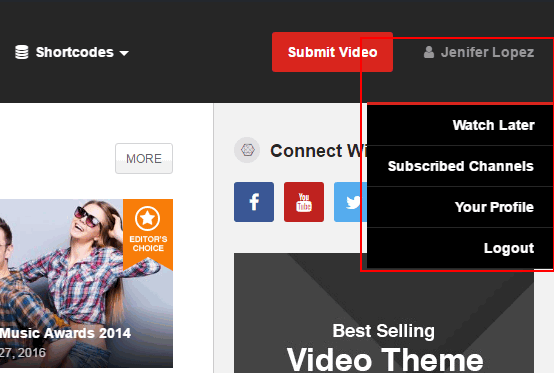 Similarly, create Subscribed Channels page, use the Page Template is Subscribed Channels. 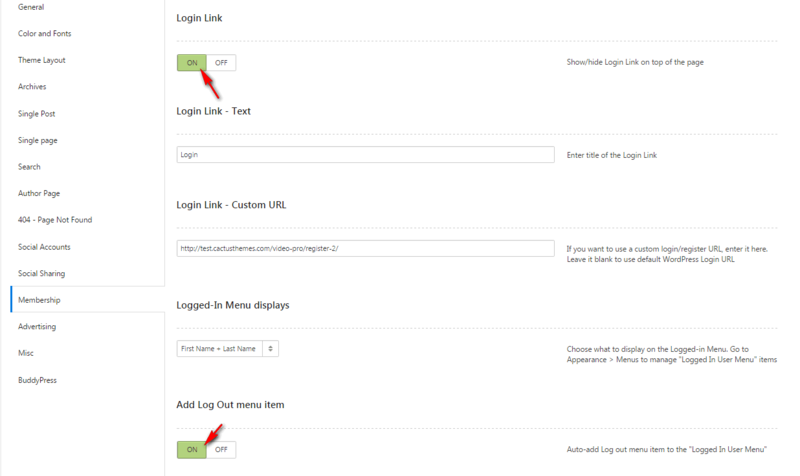 Go to TML (Theme My Login) > Settings > Enable Themed Profiles so the Your Profile page will be generated automatically. Step 4: Create a new menu. Example: User Menu. Check the menu item in the boxes in the left column: Watch Later, Subscribed Channels, and Your Profile, click Add to Menu to add items to the menu annêd drag/drop to arrange them. 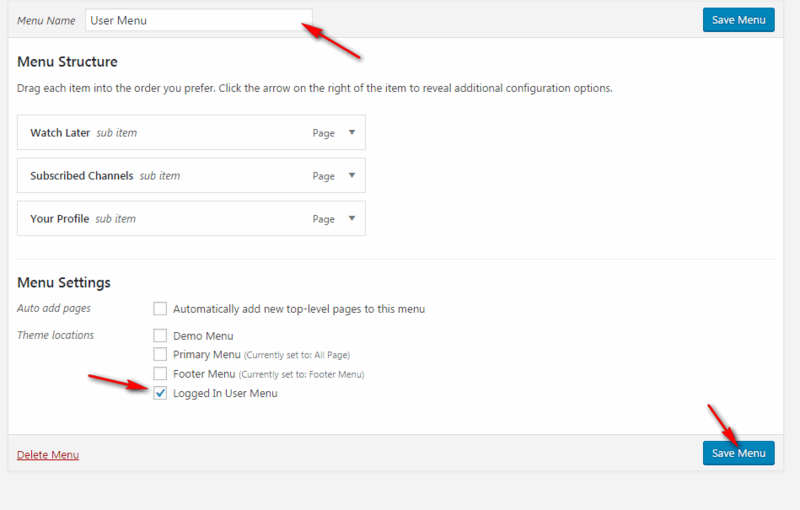 In Menu Setting tick on Logged In User Menu, save menu.